The corporate image that your business is portraying can be one of your selling points. Everything that you incorporate with your brand can affect how people, especially your target customers, look at you. 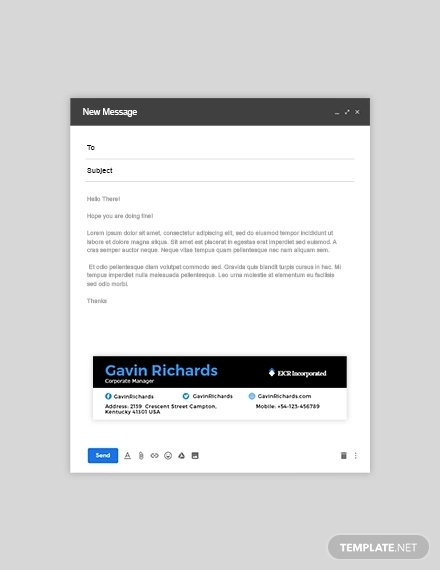 Your branding activities should include the creation of a corporate email signature so that each of your employees can be effective brand ambassadors even within email transactions. It is very essential for companies to have a formal, comprehensive and well-structured corporate email signature. If you can standardize an email signature that the employees of the business will use, you can spread a particular brand image accordingly. 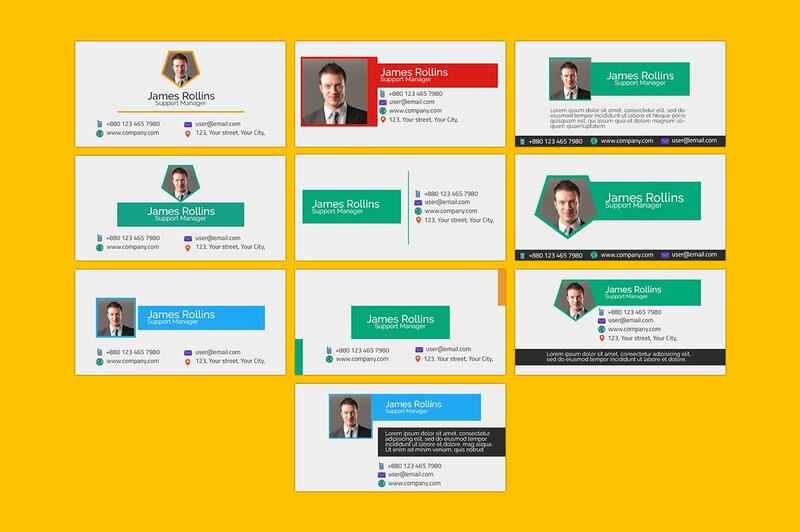 We have listed ten samples of corporate email signatures so you can have references when making the corporate email signature that you plan to use. Why Use a Standardized Corporate Email Signature? Employees from the same company who use different corporate email signatures can affect the branding consistency of the business. Even if the management is fully-aware of the importance of a corporate email signature, it will be less effective if the employees are not. Listed below are a few of the reasons why it will be best for your company to create an email signature that employees can use for corporate email transactions. A standardized corporate email signature can help you brand your business properly especially to your long-time customers. There are various client email transactions that occur from time to time. The same customers may contact the business to give feedback, ask for new offers, complain due to a failed transaction, or request for account activation and updates. If the business has different email accounts for different kinds of inquiries, you can only ensure that the brand of the business will still be seen by the customers through the usage of a standardize corporate email signature. A standardized corporate email signature can be used to identify the specific email messages per department. Even if you will use a standardized corporate email signature template, you can still easily identify the department of the employee who sent an email to a client. Usually, in sales transactions, screenshots of email conversations or the actual email messages are commonly presented as proof or evidence. You can verify the email right away if you can see the unique details that you have incorporated per department in the standardized corporate email signature. You can also easily call the email sender from your business who is specified in the email signature to confirm customer claims. A standardized corporate email signature can promote consistency to the email transactions of the business. Being able to present your business in a consistent manner can say a lot about the success of a business’ branding activities. Through a standardized corporate email signature, customers can ensure that they are talking to the representatives of the business. This can help customers to give their full trust to the emails that they receive from the business’ representatives even if these representatives are different people. The name of the employee. 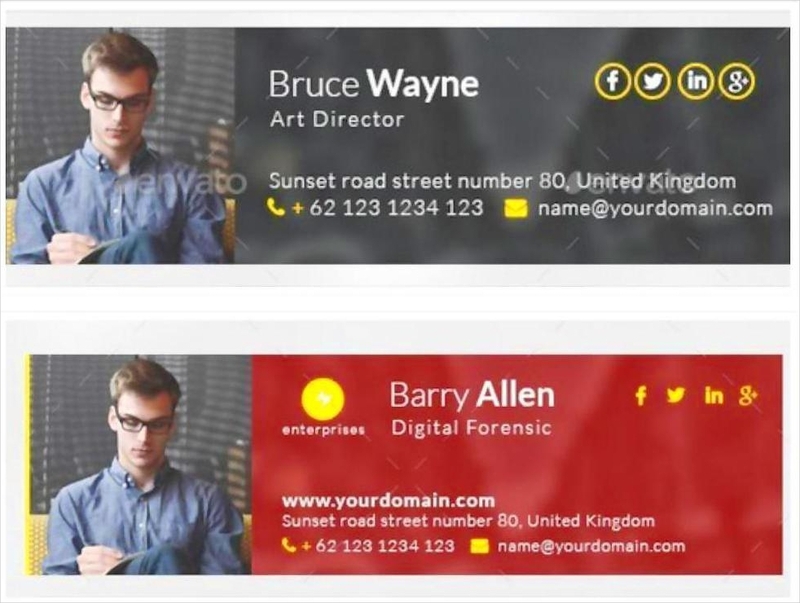 One thing that is the same as a personal email signature and a professional email signature used by employees of a specific company is that they both have the name of the person who is using the email. A few companies have strict regulations when it comes to the format that you will follow when specifying your name. Some of them like the first names of the employees to be stated first while the rest prefers the other way around. The designation of the employee in the company. The work position of the employee is very essential to be specified in the corporate email signature. This ensures clients that they are contacting the appropriate person to whom they should address their concerns with. The designation of the employee is commonly stated after his/her name. The name and logo of the business. 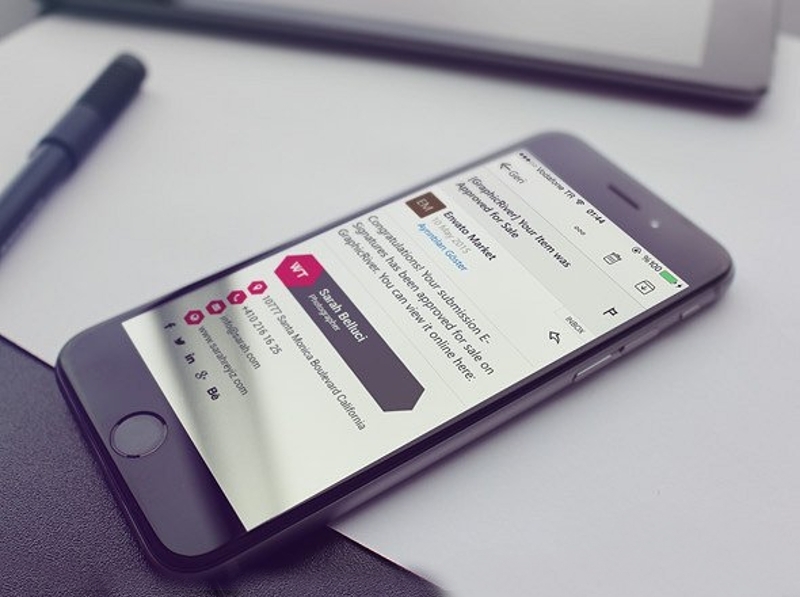 As a branding undertaking, the business needs to be presented in the corporate email signature. Include the full name of the business and add its logo if necessary. You can also include the business’ tagline if you want your corporate email signature to be filled with more information about the company. The location of the business. Especially for multi-national companies or those businesses that are immersed in international operations, the location of the business is important to be seen in the corporate email signature. This will also be helpful for people who would like to visit the location of the business. They can easily identify the branch of the business where the employee works by looking at the content of his/her corporate email signature. The company’s confidentiality clause. The confidentiality statements at the bottom of corporate email signatures can help entities be reminded that the content of the email should not be shared by other people. This is very helpful in situations where only specific people who are within the email thread are supposed to be knowledgeable about the email content. This is also necessary for booking transactions sent through mail during business-to-consumer business processes. What Makes Up an Effective Corporate Email Signature? Content cohesion. The information that will be placed in the corporate email signature should be relevant and related to one another. You just couldn’t put together personal and business information as it can make the entire corporate email signature lengthy. More so, it can defeat the purpose of using a standardized corporate email signature. Structure organization. Since all of your employees will use the corporate email signature, you have to make sure that you will properly create and develop its structure. If you will send out a corporate email signature template that contains an error, then all the employees can exhibit that error in their email transactions. The structure of the corporate email signature is very important to be reviewed so that its content can easily be understood and viewed by the email receivers. Company brand incorporation. One of the main purposes of using a corporate email signature is to present the brand of the business. 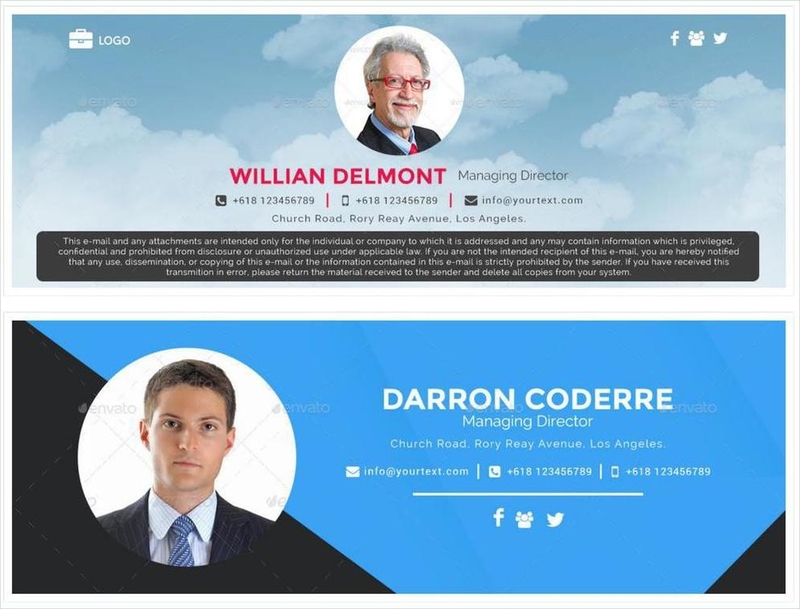 If appropriate company brand incorporation can be achieved, then it is safe to say that the usage of a corporate email signature is fully maximized. Overall visual appeal. How your corporate email signature looks can affect the image and the brand of the business. You have to make sure that your company will use an appealing, well-formatted and properly put together corporate email signature so you can present your business in the most outstanding way possible. Make sure to make the format of your corporate email signature relevant to the brand of the business. Never format a corporate email signature in a way that is just based on trends or what is currently deemed popular by the industry where your business belongs. Always be reminded that trends fade and change from time to time. You need to make a corporate email signature format that can stand the test of time and is still usable even for a long period of time. Do not use a corporate email signature format that is similar to your competitors. As one of your branding materials, your corporate email signature should be unique and original. You can start making a corporate email signature truly your business’ own by developing a format that is only used by the company. 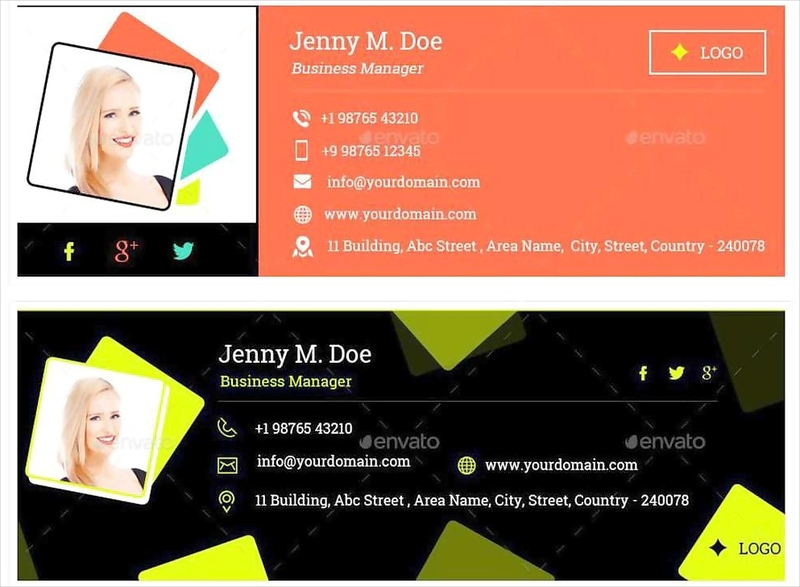 Design materials, lines, images, and font features can make your corporate email signature format a lot different from those of your competitors. Make sure that the color palette that you will use can be incorporated accordingly in the format that you will use. 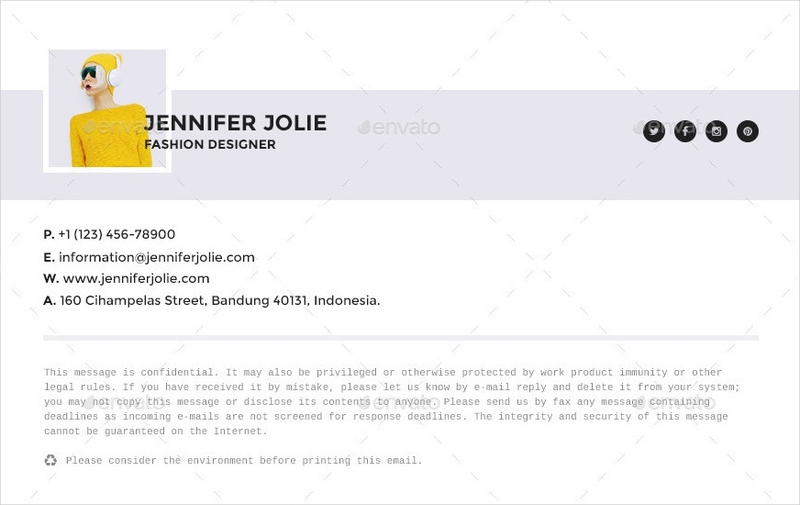 The format of your corporate email signature should consider all the design items that you will place in it. One of the most important things that you need to think of is the combination of the colors that will be present in the format that you will use. Make sure that all the colors to be used are pleasing to the eyes when combined together or placed side-to-side. Use a readable and formal font style. Aside from the format of the actual email signature, you also have to be keen when formatting the text of your corporate email signature. Retain the professional look of the email signature by using formal and business-appropriate font styles. 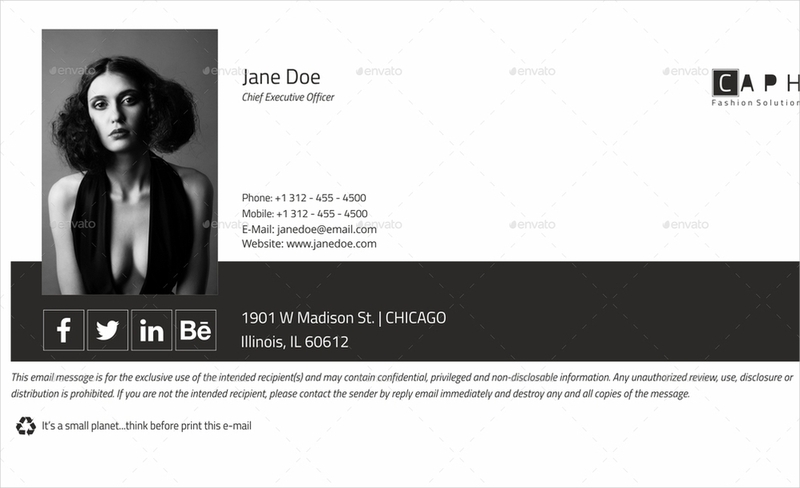 Use a template when developing a corporate email signature. 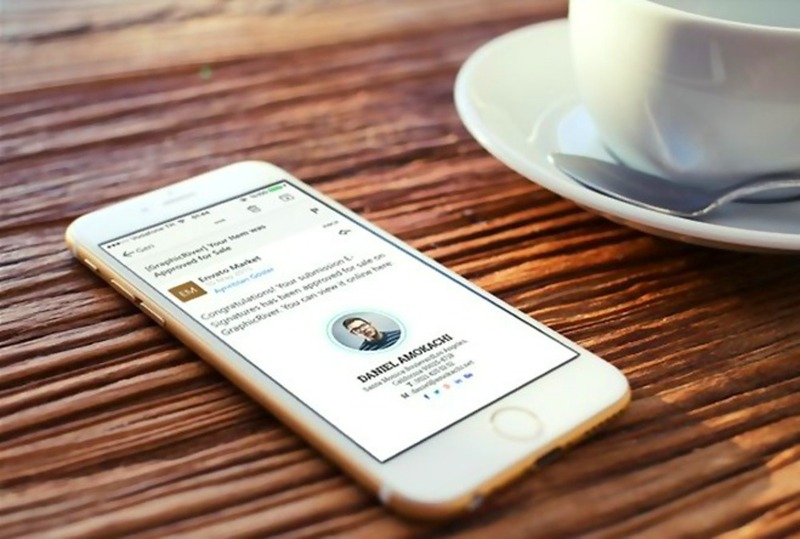 A corporate email signature can be done faster if you have a template to serve as a guide. 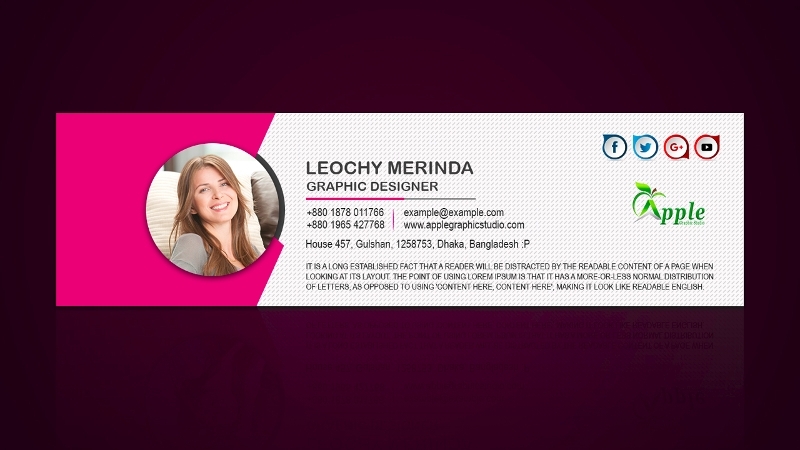 You can download templates online or you can also develop one through the help of your company’s graphic artist. Having an initial template can ensure the entire team that there is an existing guide that can easily be sent to each employee when the usage of the corporate email signature is already needed to be implemented. A corporate email signature can add a lot of professionalism and formality to any business-related emails. There are a few do’s and don’t’s of email signature creation that you need to be aware of so that you can effectively create one that can do wonders for your business. Some of the guidelines that you may incorporate in the creation and usage of a corporate email signature are listed below. Do not forget the brand core and aesthetic of the business. 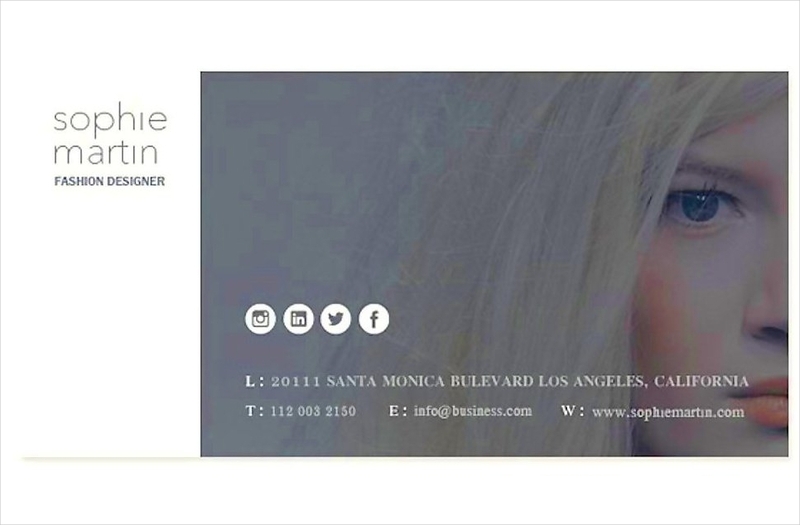 Always incorporate the ideas and branding aesthetics of the business when creating a corporate email signature. This will help the corporate email signature be easily identified as the property of the company. Make sure that all employees are aware of the necessity to use the specific corporate email signature. It is very important to make your employees involved so they can actively participate in the usage of the corporate email signature. You can conduct a meeting that focuses on the importance of a corporate email signature. If all employees will be knowledgeable of the importance of the corporate email signature, then they will surely help the business achieve its objectives. More so, they will understand the reason why they are required to use the corporate email signature required by the business. 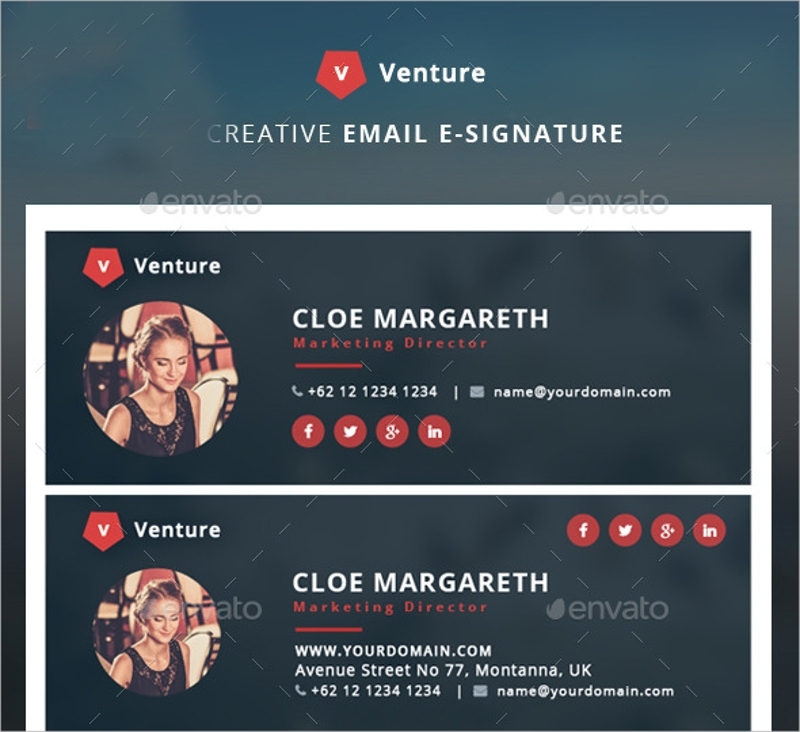 Refer to the samples that we have placed in this post if you would like to have more idea and inspirations in creating a corporate email signature. However, always inject originality on the corporate email signature that you will let your employees use. 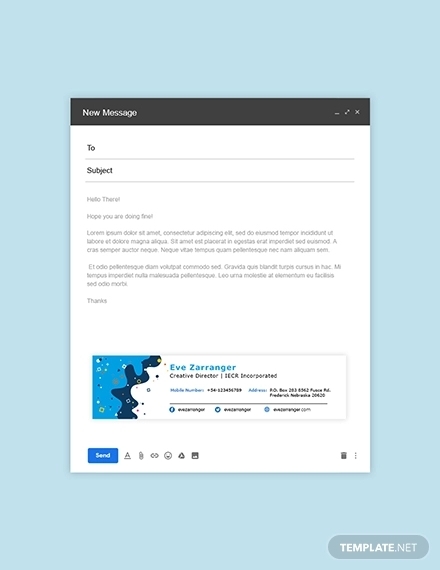 Make your company’s email messages stand out by using a corporate email signature that perfectly reflects the business and its brand.